Crop evapotranspiration (ET) is one of the main components in calculating the water balance in agricultural, hydrological, environmental, and climatological studies. Solar radiation (Rs) supplies the available energy for ET, and therefore, precise measurement of Rs is required for accurate ET estimation. However, measured Rs and ET and are not available in many areas and they should be estimated indirectly by the empirical methods. The Angström-Prescott (AP) is the most popular method for estimating Rs in areas where there are no measured data. In addition, the locally calibrated coefficients of AP are not yet available in many locations, and instead, the default coefficients are used. In this study, we investigated different approaches for Rs and ET calculations. The daily measured Rs values in 14 stations across arid and semi-arid areas of Fars province in south of Iran were used for calibrating the coefficients of the AP model. Results revealed that the calibrated AP coefficients were very different and higher than the default values. In addition, the reference ET (ETo) was estimated by the FAO56 Penman–Monteith (FAO56 PM) and FAO24-radiation methods by using the measured Rs and were then compared with the measured pan evaporation as an indication of the potential atmospheric demand. Interestingly and unlike many previous studies, which have suggested the FAO56 PM as the standard method in calculation of ETo, the FAO24-radiation with the measured Rs showed better agreement with the mean pan evaporation. Therefore, the FAO24-radiation with the measured Rs was used as the reference method for the study area, which was also confirmed by the previous studies based on the lysimeter data. Moreover, the accuracy of calibrated Rs in the estimation of ETo by the FAO56 PM and FAO24-radiation was investigated. Results showed that the calibrated Rs improved the accuracy of the estimated ETo by the FAO24-radiation compared with the FAO24-radiation using the measured Rs as the reference method, whereas there was no improvement in the estimation of ETo by the FAO56 PM method compared with the FAO24-radiation using the measured Rs. Moreover, the empirical coefficient (α) of the Priestley and Taylor (PT) ETo estimation method was calibrated against the reference method and results indicated ca. 2 or higher α values than the recommended α = 1.26 in all stations. An empirical equation was suggested based on yearly mean relative humidity for estimation of α in the study area. 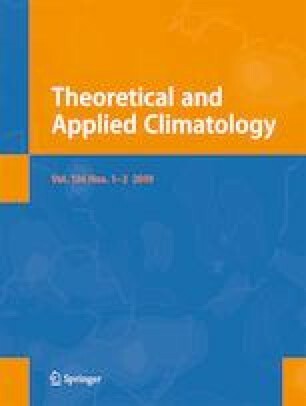 Overall, this study showed that (1) the FAO24-radiation method with the either measured or calibrated Rs is more accurate than the FAO56 PM, (2) the spatially calibrated AP coefficients are very different from each other over an arid and semi-arid area and are higher than those proposed by the FAO56, (3) the original PT model is not applicable in arid and semi-arid area and substantially underestimates the ETo, and (4) the coefficient of the PT should be locally calibrated for each station over an arid and semi-arid area.